Climate change has been the world’s major problem recently because it brings a lot of environmental problem that no one can be securely safe anymore all the time. To reduce pollution that can harm the environment, www.overnightprints.com has come up with a solution to become environment-friendly when it comes to business card processing and production. To show their love for the environment, a waterless printing process has been employed by Overnight Prints to process the cards and convert them into beautiful prints! 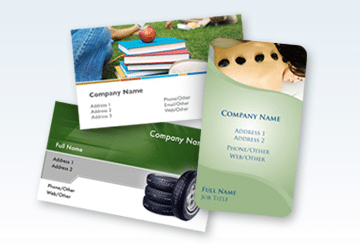 In addition, environmentally friendly business cards are also produced by Overnight prints. These business cards have FREE Spot UV coating and heavy 15pt Card Stock from environmentally sustainable forests; all these at an affordable price starting from $4.15! Anyway, to show love to our environment, Overnight Prints suggest that we recycle, conserve water, plant a tree, use bikes or ride public transportation, purchase energy-saving appliances, buy organic products and shop for products that are likewise recycled! Celebrating Ensogo’s 1st Year Anniversary!